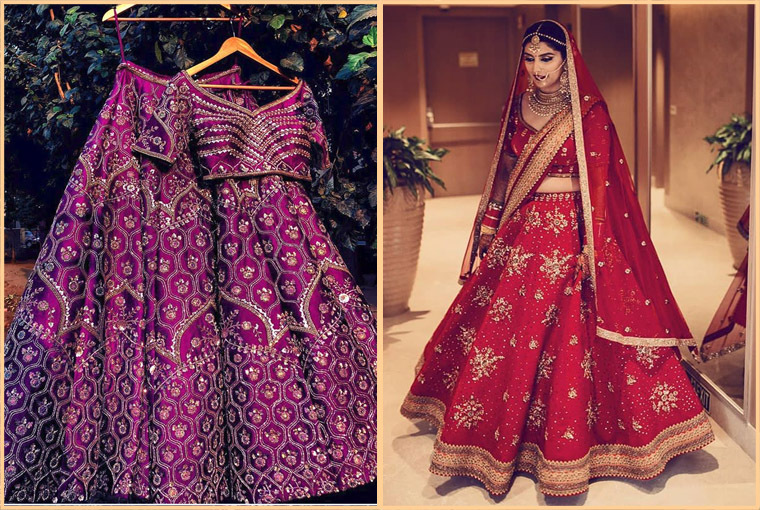 Unique Luxury Designers To Choose For Your Bridal Lehenga! We totally understand how difficult it is to get the lehenga of your dreams for your wedding. With so many designer labels available, the choice becomes tough for the brides to be. 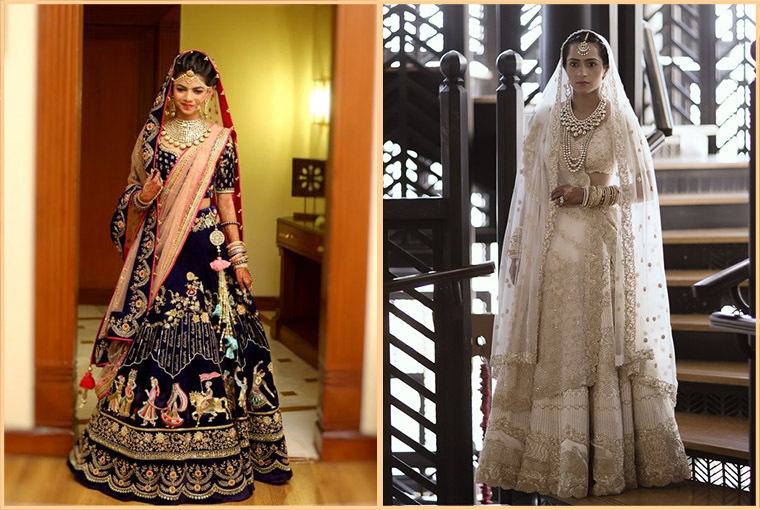 We have also seen that not every bride wants to wear a Sabyasachi or a Manish Malhotra outfit on their wedding day. They want to create a statement with something different or unique. It can be a something not traditional or traditional with a twist that will surely leave everyone spellbound with its uniqueness. 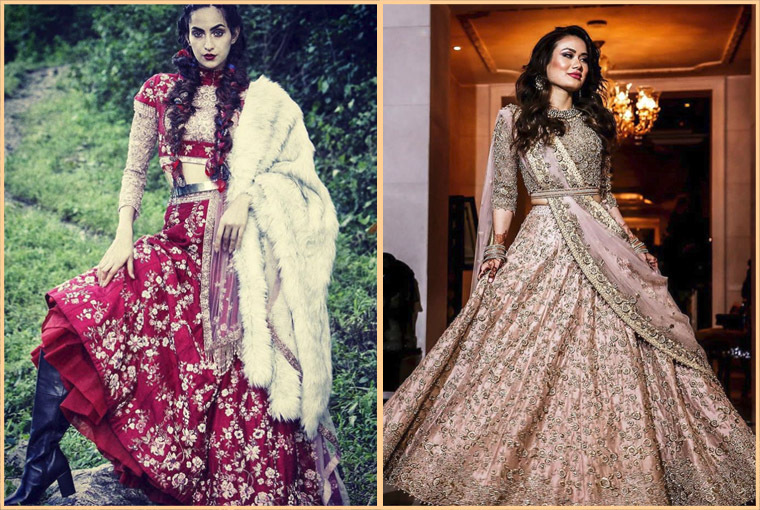 So here are some unique luxury designers that impressed us with their offbeat designs of bridal lehenga. 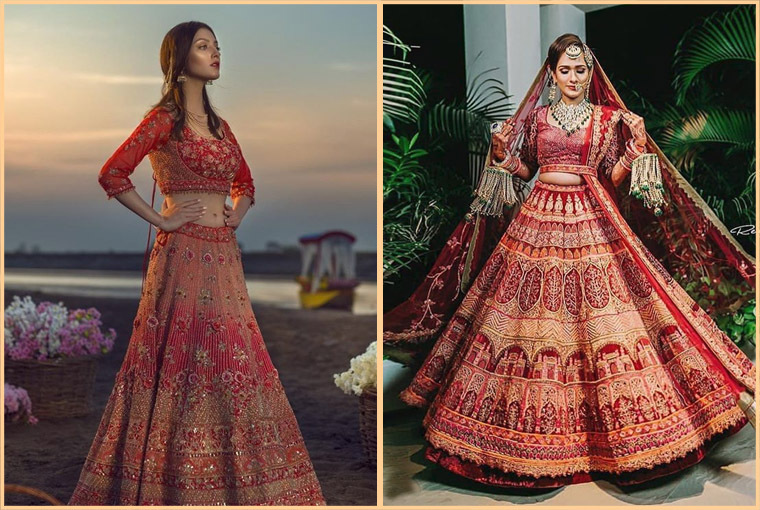 We are very much sure that you will fall in love with their never seen before designer lehengas… So all the 2019 brides-to-be… starting taking notes! Her bridal creations need no introduction. Everyone is well aware of her stunning love story lehengas with intricate detailing. Her work is totally unique as the delicate crystal work, beaded bodices and pastel hues will surely make you look like a real life princess on your wedding. 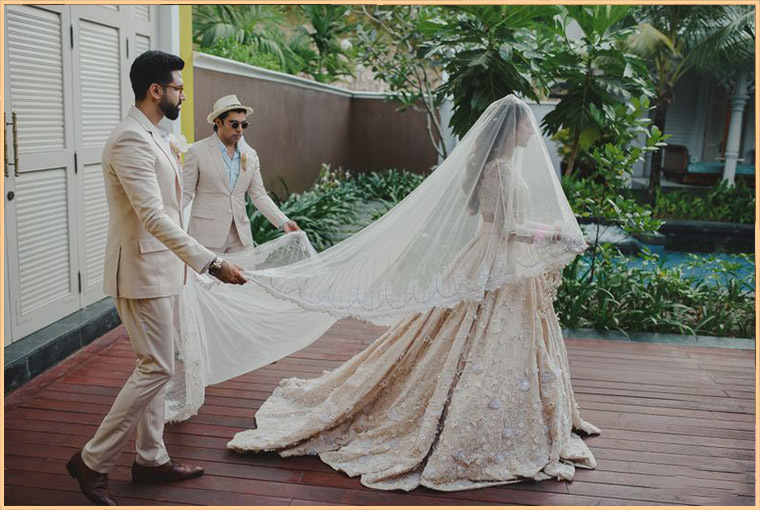 If you are really keen on wearing something with a unique silhouette and blouse, then Monisha Jaising is the right person to give the lehenga of your dreams. Ecru Luxury by Ankur Batra is known for its philosophy of opulent and tasteful designs. 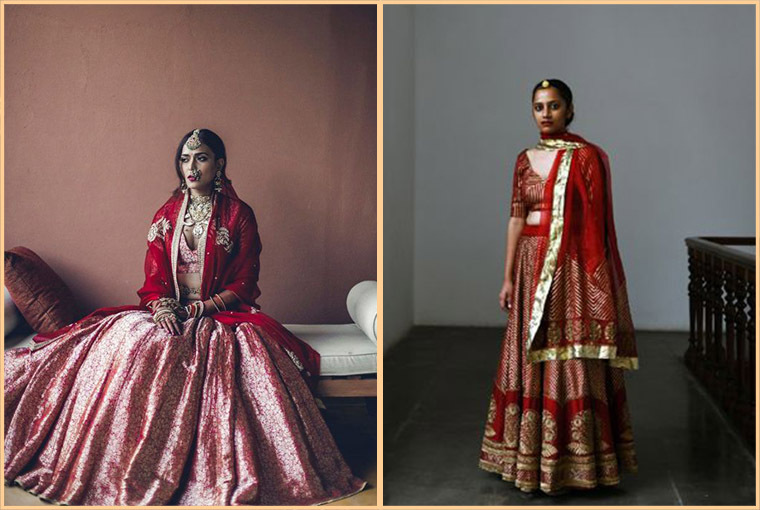 The bridal lehengas by them evoke a sense of subtle grandeur with subtle hues like beiges and creams accentuated with strokes of gold and copper. 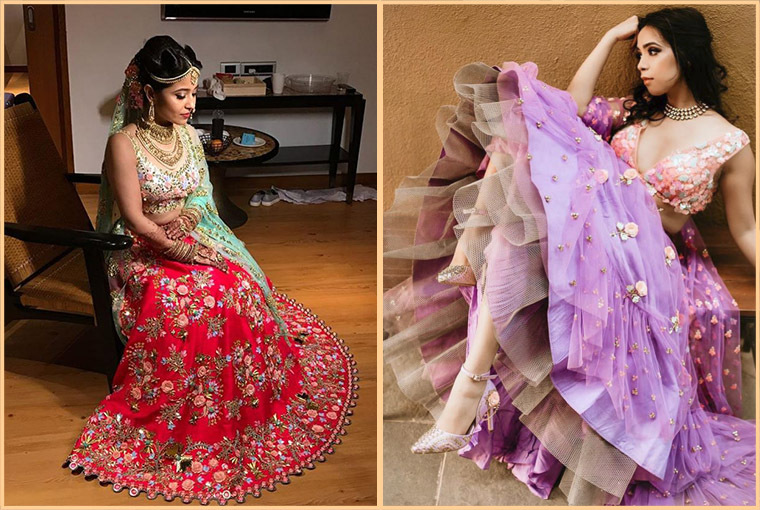 The designs by Payal Keyal depicts elegance with the ultimate form of sophistication and their lehengas are the silent ambassadors of this notion. The Bridal collection by Bani Batra is inspired by modern architecture, intricate details, traditions from around India and timelessness. She creates stunning ensembles with traditional Indian craftsmanship and embroideries with royal detailing at the heart of her design. If you wanna look all luxe and fabulous then Shivan and Narresh’s label is to go for. While they don’t do bridal wear exclusively, they do create customised designs for brides to be. So if you want to go for something non-traditional then, Shivan and Narresh is the one! If you have a thing for stunning embroideries then you should definitely go for Rianta’s designs. Her style of embroidery is really unique and refreshing. Plus, the choice of colours for her attires is also brilliant that will surely make you a beautiful bride. We have totally past that time when Benarasi lehengas or sarees were restricted to the pre-wedding events. 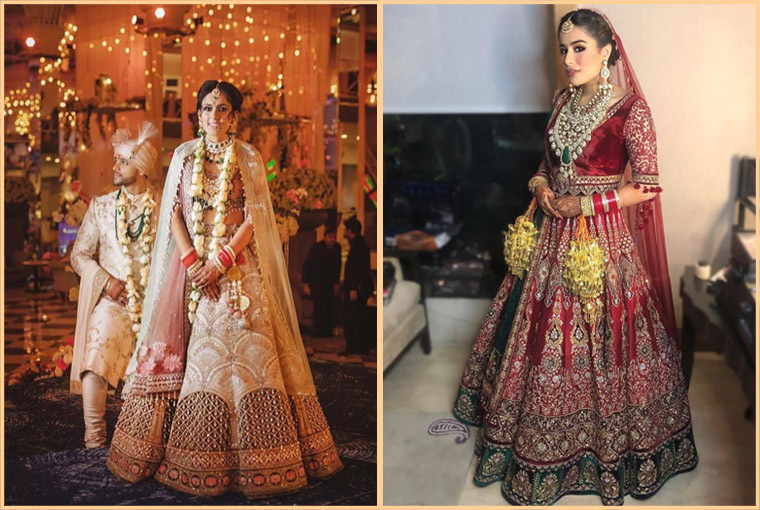 Raw Mango is a genius that creates stunning Benarasi lehengas for brides and they are totally loved as they are easy to wear because of the lack of heavy work and brides can also experiment with jewellery, makeup and elaborate hairstyles! Papa Don’t Preach by Shubhika is a perfect label for girls who effortlessly display a fierce urban sense of style, and are constantly experimenting and redefining their fashion boundaries. 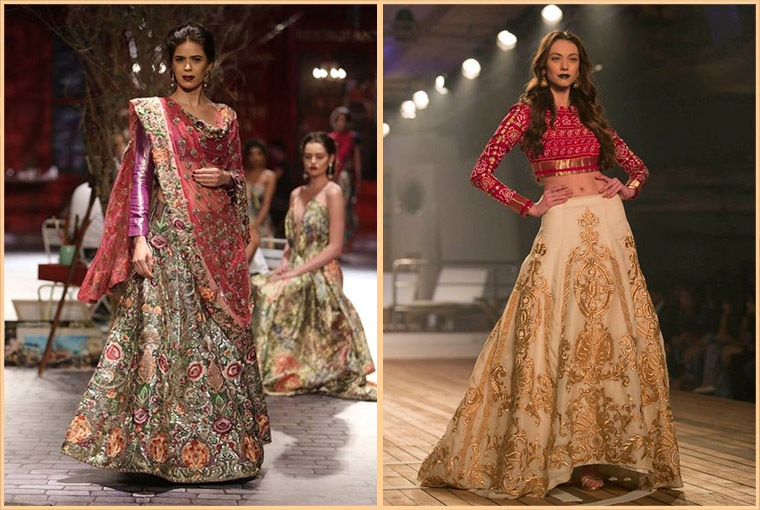 Her line of lehengas are uber cool and showcases the bubbly side of a bride. Brides who love to don dreamy pastels with intricate, gorgeous, stunning work then Christina WT is the designer to go for. 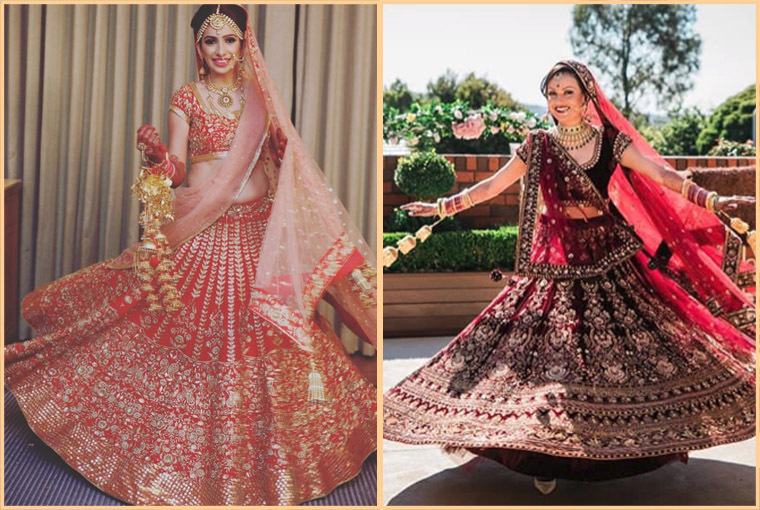 Her stunning lehengas has the ability to leave everyone speechless! Also read: How to choose your Bridal Outfit?